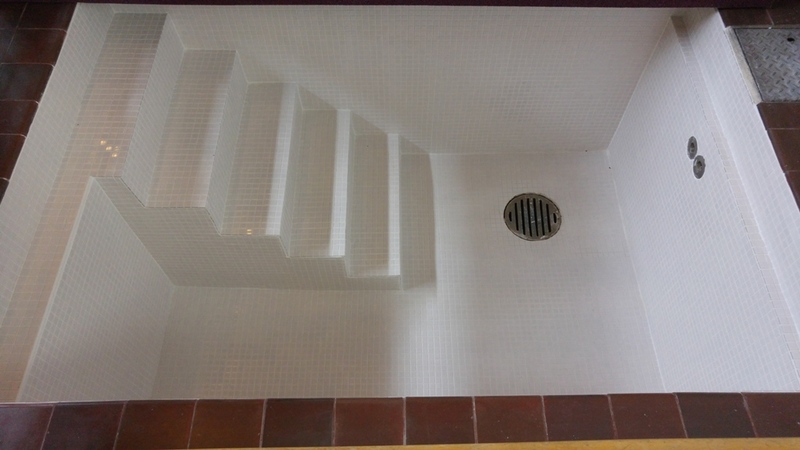 After a number of months of planning & organisation, and a four days of hard work, the baptistry refurbishment is complete. Thanks to some very generous donors, and additional funds from St. Frideswides, the old greying, chipped tiles have been stripped, it has been re-lined, and re-tiled and is now positively sparkling. The proposed work to alter the Dais arrangements, originally intended to be completed at the same time, are being reorganised.